My blogging always falls off the radar when I’m busy. 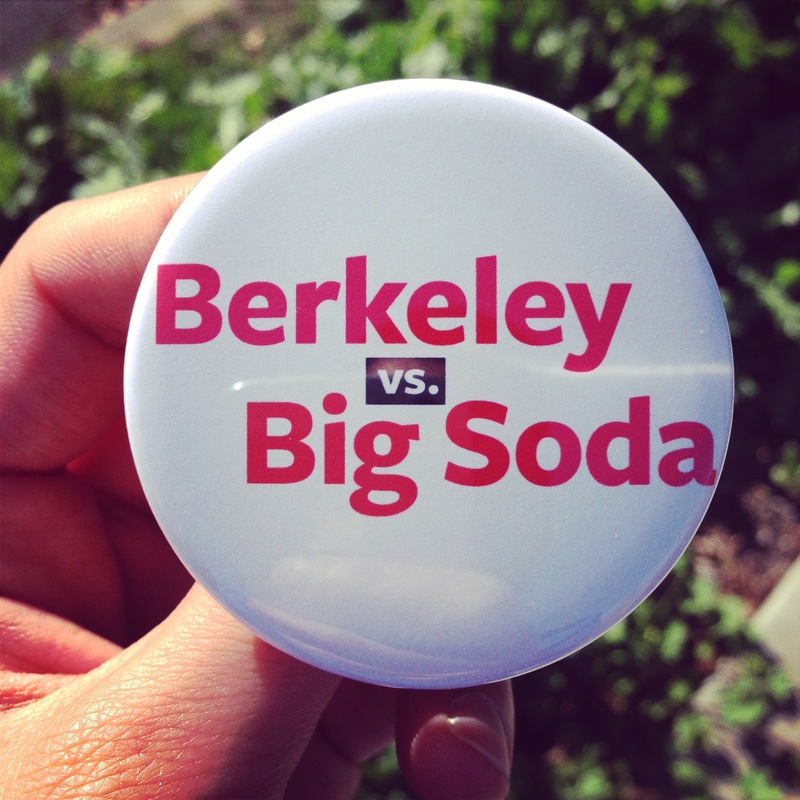 But, this time, I have a good reason – I’m volunteering with the Berkeley vs. Big Soda campaign to pass a tax on sugary drinks in the city of Berkeley, California. Sugary drinks – like soda, energy drinks, sports drinks, and even juices with added sugar – have repeatedly been linked to increase risk of type 2 diabetes, obesity, and tooth decay. Yet, the beverage industry (aka Big Soda) relentlessly markets these unhealthy drinks despite their harmful health effects. Deceptive marketing most often targets kids and communities of color. As a public health advocate, I truly believe that we need strong policy approaches to address the chronic diseases caused by sugary drinks – educational campaigns on the topic just aren’t sufficient to reduce soda consumption when people are inundated with Big Soda’s targeted marketing. Berkeley is proposing a tax on distributors of sugary drinks to tell Big Soda that we won’t let them profit at the expense of our community’s health any longer. Revenue from the tax could be used to fund community- and school-based obesity prevention programs. We also hope that by raising awareness of the issue of soda-related diseases, Berkeley’s families and residents will rethink their beverage choices and sugary drink consumption will decline over time. If you happen to be a local reader, please volunteer and donate. The decision on the ballot measure will be finalized at the Berkeley City Council meeting on June 24th. Let’s make Berkeley the first city in the U.S. to pass a tax on sugary drinks! 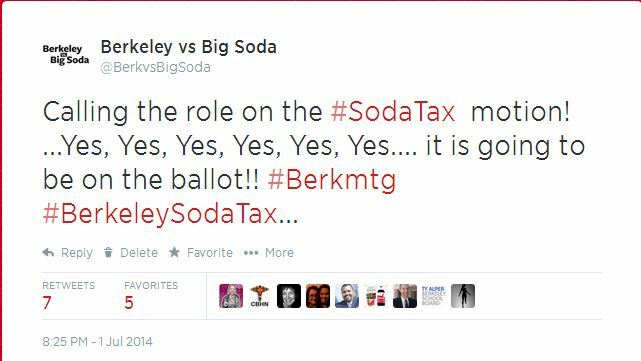 UPDATE: As of July 1st, the Berkeley soda tax (now known as Measure D) is officially on the November ballot! Yes – that is fine!